Located in the CBD of Makanti the centre offers fully-furnished private offices and co-working areas which are especially designed to suit today’s fast-changing business landscape. In addition to that they have fully-equipped meeting room, leading edge facilities, and business service solutions aimed to increase efficiency and productivity. It is very well connected to the public transportation as the next bus stop is within a three minute walk from the building. 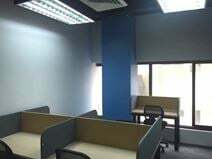 Office space prices ranging from ₱8000 - ₱36000 per month. 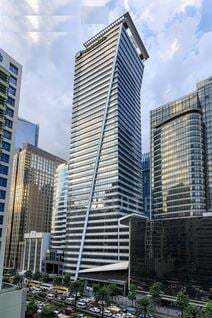 Located along Ayala Avenue in a prestigious business address, this centre is located in the most important central business district in the country. The building offers a range of rooms that can accommodate from 1 to 50 employees. This centre is committed to providing the most modern, advanced equipment and services for your business. This business centre is ideally located along Ayala Avenue, in a popular business district. This iconic building offers serviced offices to suit your requirements. An impressive venue for your base in the Philippines. The perfect solution for businesses looking for cutting edge technology in modern, serviced offices. This business centre features virtual offices, the latest printing and communications equipment, video conferencing facilities, ergonomic furniture, and professional secretarial support. This tower is one of the tallest in the Makati CBD area of Manila, and is near the Philippines Stock Exchange and numerous quality hotels and other amenities. It is conveniently located, with easy access to the highway network and being only 20 minutes’ drive to Ninoy Aquino International Airport. Situated along Ayala Avenue in Makati, and surrounded by many corporations, this business center has great views over Manila Bay and Makati. Offering 35 private offices in a variety of sizes and configurations, along with a full range of business services. Close to 5-star hotels, transport, restaurants and shopping, this prestigious Grade A building houses a number of fully furnished and equipped office suites and meeting facilities. Installed are the latest Cisco IP phones and fast Internet connection. This center has an LEED, pre-certified Gold rating for its sustainable design, and provides an abundance of amenities on-site, from free WiFi to secure car parking. Videoconferencing systems are available in the spacious meeting rooms, and comfortable breakout areas are well-placed for catch-ups with colleagues throughout the work day. 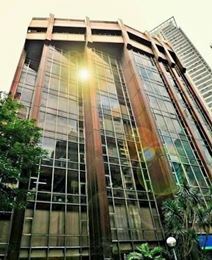 This office space is in a perfect location for any business, in the heart of Makati's Ayala Avanue. Eight-minutes away from this space is Greenbelt Park and the Greenbelt Shopping Center, where you can take advantage of the variety of dining and shopping options in the area, ideal for running errands during lunch breaks or entertaining clients for post-work drinks. 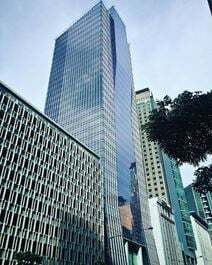 With 44 different office rooms spread over a total floor size of 1,462m² this Grade A office tower is located near the Ayala triangle, the financial center of the Philippines. The modern office space has lovely views over the city due to floor-to-ceiling windows. Ideal for any client looking for a professional and modern environment in which to build their business. Take advantage of the spacious conference room and private office suites, plus the added benefit of flexible terms and inclusive pricing. There are a number of retail opportunities close by, offering that occasionally-needed break from work, including cafes, restaurants and even fitness centres. Offering spacious offices in a new and modern environment, this space has everything your business could need to function daily. Take advantage of flexible terms, inclusive pricing and furnished spaces in this serviced business centre, and benefit from the peace of mind that you don't need to do any shopping around. Located in the heart of Makati, you'll never be far from a coffee break, lunch meeting or a nice walk in the park. Opening in January 2019. Contemporary interior design makes for a stylish and professional working environment. Spacious meeting rooms can be booked. Lockers are available to store your belonging. There is a pantry area. Breakout areas feature a variety of relaxed seating. Virtual office options area available. Located on the third floor of a contemporary building in Makati CBD. It is a 14 minute drive to PNR Pasay Road train station, and five minutes to the nearest bus stop. Ayala Triangle Gardens are a four minute stroll away. Close-by there are a number of shops, coffee shops and restaurants. Opening February 2019 - Premium office space in a PEZA and LEED registered building located in the heart of Makati Central Business District, on the corner of Ayala Avenue and Paseo de Roxas. Offering co-working and shared offices, large meeting rooms, and virtual office membership solutions with spacious common facilities. Situated close to comfortable hotels, retail venues, banks and ATMs, and fitness centers as well as a plethora of cafes, restaurants and bars offering local and international cuisines. Accessible via all types of public transportation and under 30 minutes drive to the Ninoy Aquino International Airport. Serviced offices to let in an elegantly-designed business centre, situated in a landmark office tower in the financial centre of Manila. This centre features the latest CISCO telecoms infrastructure, meeting/conference rooms and video conferencing facilities, a dedicated and professional support team, and fantastic views of Manila Bay and the Makati City skyline. Strategically located in the financial district of Makati City, this centre also has convenient access to a food arcade, international banks and a convenience store. The building has convenient public transport links and the international airport is only five kilometres away. A fully-furnished office space providing both private office and co-working solutions. Hot desk options are also available. There is a well-equipped pantry with microwaves. Regular community events are held. Free-flowing coffee is available. Administrative and IT support are accessible. Meeting rooms are furnished with A/V equipment and conference facilities. Staff are onsite 7 days a week. Situated in a dynamic neighbourhood, in Legazpi Village. Within 10 minute's walk of the space there are a number of bus stops, and it is a 22 minute stroll to PNR Pasay Road Station. 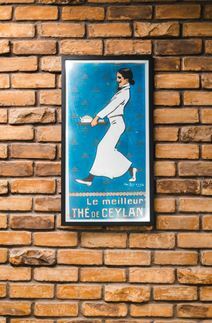 In the vicinity, there are many bars and restaurants to try during your stay. There are also several hotels located nearby. This four-storey building is located in the heart of Makati's central business district and provides brand new and modern office space that is easily accessible from all directions of the city via both the MRT (Metro Rail) and EDSA (major highway). The business centre is operated by experienced entrepreneurs who understand the tedious administrative side of setting up a business and are there to help. In Salcedo Village you will find Chatham House, right at the heart of Makati's CBD. Here is where this contemporary and edgy office space is located. Perfect for companies with a young and dynamic workforce, freelancers, or small teams looking for flexibility within a modern working space. Complete with amenities like free coffee, fast internet, and a receptionist and located close to well-known restaurants and bars, and Salcedo Park for market days. This space can be easily accessed via public transport as it's close to a major transport hub in Makati: Ayala Avenue. A well-equipped co-working space that can cater for teams of between 10 and 25. Co-working seats are also available. These work perfectly for team expansion. There is 24/7 access to the building. Situated in the heart of Makati, on H.V. Dela Costa. Close-by, there are many cafes, bars and restaurants. MRT stations are within walking distance. It is a 27 minute drive to Ninoy Aquino International Airport. Modern and trendy coworking and event space in the heart of the Makati Central Business District, close to a number of restaurants, bars and cafes. This centre provides a beautiful space to work and host events. Catering to a range of different professions and industries including artists, startups, freelancers, and vloggers. Providing all you need to host your next event, this space has all you need without having to pay heavy rental costs. Close to other corporate offices and shopping malls you can shop or meet clients or friends for lunch nearby. 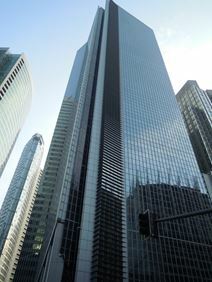 The centre is in HV Dela Costa, Makati City which is in the Heart of Makati CIty. You can go to Paseo de Roxas, Buendia, Ayala Avenue with minutes walk. The centre is very close to all transportation links as well. The centre provides 24 hour access, 24 hour security, administrative support, air-conditioning, CCTV, meeting rooms, reception services, Security system, telephone answering, telecoms and WIFI for your business use. This center is on the fourth floor of an attractive office building in the heart of Makatis CBD. They provide ready-to-go infrastructure and the latest business technology in elegant office space. A work-space with 8 private offices. There is 24 hour access to the building. The centre is equipped with CCTV and bio-metric access. Flexible terms are available. Meeting rooms can be booked. Situated in the core area of Makati Central Business District, on L. P. Leviste Street. In the surrounding area, there are many restaurants, bars and cafes. It is a 31 minute drive to Ninoy Aquino International Airport. Housed on the 9th floor of this Grade A building in the affluent Salcedo Village, this center can accommodate 2-50 people and is fitted with DELL hardware, software, and network infrastructure. The centre is in Makati Ave. The centre provides hot desk and dedicated desk for you to choose. It offers car parking spaces, PLDT & Sky Fibre optic connection, phone lines, modern office setup, pantry and common area and photocopying machine and printer for your daily office use. The centre is surrounded by shopping mall, flower shop, restaurants and banks which provide all you may need for your working day. In the heart of Makati City"s central business and entertainment district this professional business centre offers fully furnished executive suites and open plan office space. On-site facilities include a business lounge and meeting rooms. Looking for personal or coworking workspace with meeting rooms and event space large enough to cater to up to 100? Look no further. This space is perfect for all your office needs as has a space great for seminars, training, product launches and event parties. On-ground staff are available on-site from Monday to Friday, 9am-6pm, and organise weekly events that engage the community. Pantry services such as barista services, and complimentary coffee, tea and infused water are also available at this location. Located on Paseo de Roxas, this space has great connectivity to road transportation and shares a neighbourhood with Greenbelt Mall and a wide variety of restaurants and cafes. Located in the heart of Makati CBD, in a dynamic, high-rise building this business centre faces the Ayala Triangle Park and is one block from the Philippine Stock Exchange. 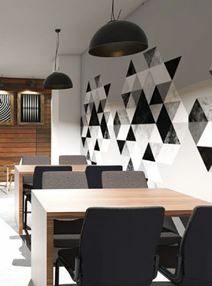 Inside you"ll find an urban-inspired co-working space catering to the serviced office clientele. 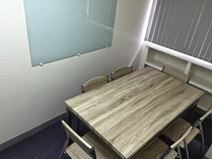 Situated in the heart of the Makati financial district this location is ideal for commuters and provides a range of serviced office space and co-working areas. As well as office space the centre also offers a mini fitness corner, training and meeting rooms. Here at this centre it is back to basics and where things are kept simple. No fancy decoration or complicated equipment, just good location, quality service, and office necessities. You can find a few private offices, a meeting room, and a number of individual desks. Members also have access to the pantry, parking space and the office equipment such as the printer, phones, and scanner. Of course, you may use the WiFi connection as well. This branch is the country's first pet friendly virtual office! Should you want to bring your fur-baby, you are free to do so- just make sure they behave and you clean up after them. Located just a few metres from hotels, shopping centers and more, this easy to access centre is well served by local transportation. It offers high quality offices in a well equipped and comfortable business environment. Enjoy coffee, tea and infused water throughout the day in this centre. Whether you are after personal work space and coworking rooms, meeting rooms of various sizes or fully equipped event spaces this space has it all. From 9am-6pm on weekdays you will find receptionists and community managers on-site who arrange various community events to keep engaged with your neighbours. One of the most beautiful areas of Salcedo, Makati, this street is lined with trees and shares a community with a variety of social, leisure and edulcational facilities along with international embassies. A premium office space, offering a combination of coworking and private office solutions. Reception services are available. This includes the handling of email correspondence, phone calls, and a postal service. Enjoy unlimited coffee and water. There are showers available. Meetings rooms can be booked and there are conference facilities which are accessible. A cleaning service maintains a clean and hygienic environment. The space is positioned in the heart of Makati Central Business District. As a result, there are numerous eateries minutes' walk from the space. There are also shops, convenience stores and banks in the surrounding area. It is a five minute walk to the closest bus stop and there is also parking available one minute walk at Valero Car Park.